Somehow in between drawing enough manga to fill an entire bookshelf — and that’s no figure of speech — Osamu Tezuka also found the time to direct animated films. What’s probably most surprising to learn is that they were not adaptations of his manga work; he left that job to other people. On his own, he developed animated work that was as eclectic and experimental as the manga he created for his own left-field magazine COM. The man was large; he contained multitudes. Few people outside of Japan or the film-festival circuit have ever seen those films, but Tezuka has become a more familiar name in English over the past decade, and so there’s now a market for a DVD anthology of that work. The Astonishing Work of Tezuka Osamu (last name first in the title, as per Japan’s naming conventions) compiles thirteen of Tezuka’s short animated productions (total time, two and a half hours) along with a half-hour interview with Tezuka itself. Even fans of Tezuka’s work in all its breadth might not recognize most of this as his product if his name wasn’t on it. The work collected in Astonishing is as wide-ranging as the man who created it. The longest are full-blown mini-epics, like “Pictures at an Exhibition” or “Tales of a Street Corner”, each clocking in at nearly half an hour or more. The shortest film, “Portrait”, clocks in at only a few seconds — longer than many of Stan Brakhage’s blink-and-you’ll-miss-it short films. The moods vary from the amusingly trivial to the angrily thought-provoking to the dreamily surreal, in much the same way a random sampling of Tezuka’s comics work might deliver the same broad palette of feelings. “Corner” intertwines a few mini-plotlines that all take place in a small nook of a vaguely European city. A mouse befriends a stuffed animal that’s fallen into a gutter from a high window; posters on the walls of an alley have love affairs and succumb to the ravages of war. It’s a little overlong and more compelling in individual moments than in the whole, but it serves as a showcase for one of the two major design styles featured throughout the various shorts on the disc. 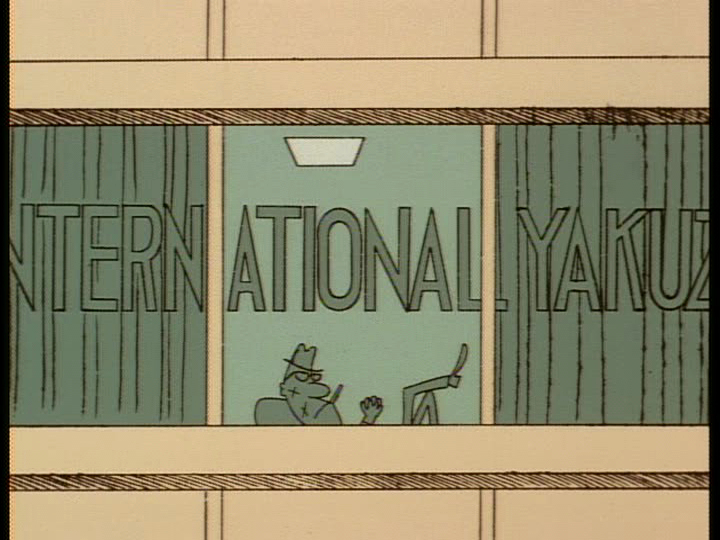 Call it the “European look” — an animation style and set of visual metaphors that Tezuka gained exposure to through the animation art popular in Europe (especially Poland and France) at the time. “Exhibition” is Tezuka’s take on what could have been a completely predictable project: setting Mussorgsky’s now-hoary music (as arranged by Isao Tomita) to animation. A lesser director would have maybe taken the paintings in question and created little manqués out of them. Tezuka uses each movement as a way to skewer the “heroes” of the age — the TV celebrity, the prize fighter, the soldier, the industrialist — and then uses the final movement as a way to hint at what’s really lying under the rubble of all that pseudo-culture. You might object to the rather jaundiced politics on display (Tezuka’s view of journalists is dour — shilling for sour), but you can’t call it lacking in vision. Many of the other pieces are similarly political, something Tezuka was never shy about putting into his work. “Legend of the Forest” uses Tchaikovsky’s Fourth Symphony as a framework on which to hang a production that’s part history of animation techniques, part Disney homage and part environmentalist warning. “Push” shows a future Earth where the only things left are dispensing machines, symbols of how mankind unthinkingly trashed his world by milking it for resources. A few of them are broadly funny, as when Tezuka caricatures the way human memory functions by stripping a man’s memory of a woman down to nothing but her bust and lips — or when he uses the way the film itself can malfunction (“Broken Down Film”) as a wellspring for one sight gag after another. Then comes the interview portion of the disc, filmed in the late Eighties. Tezuka had a habit of speaking through his work; only occasionally, as with the anthology versions of Astro-Boy, did he speak in his own words. For Western audiences, seeing and hearing him speak completely for himself at length like this is revelatory. He comes off as a man of stubborn but not unreasonable pride: his work was his work, front to back. He was also determined to make something even when there was no money to be found and little way to get the work circulated other than by going outside the country and entering the resulting products in international festivals. That might explain one of his more bitter comments — “I do not care about Japan” — but the context is crucial. He was not interested in simply trying to impress his countrymen. His ambition was nothing less than to show the world at large what Japan was capable of as a cultural player among other nations: to make Japan’s popular arts that much less insular and self-referential, to make Japan that much more a citizen of the world through such things. That impulse might explain why Tezuka’s animated shorts only rarely referenced Japanese culture. That said, when they did, they did so with gusto. “Muramasa” is the most explicit such reference — a beautifully-rendered story, mostly in stills, about the legendary sword that cast a murderous spell over its wielders. 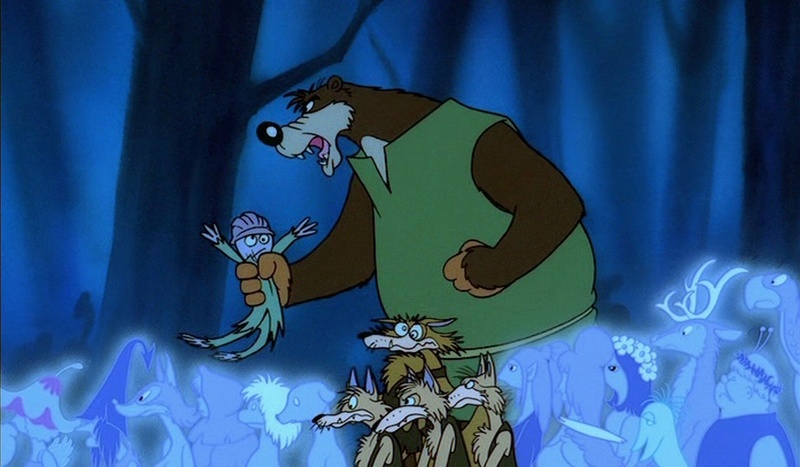 Most of the rest branch out from the Disney mold (although more like the Disney of Fantasia rather than, say, The Rescuers) or are of the pan-European flavor described before. No matter what the look and feel, though, Tezuka kept two overriding missions in sight: convey big messages to the audience, unabashedly; and remain independent in both production and outlook. Japanese popular culture is a big export, but most of what gets promotion and exposure in the West isn’t singular visions or independent projects along the lines of what we had with Sita Sings the Blues in the West. 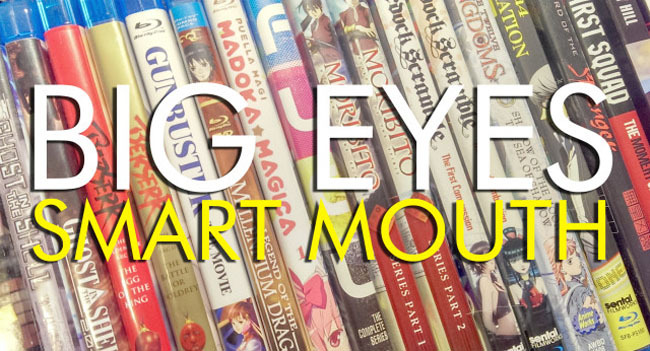 It’s products with major corporate backing and distribution: Bleach, Naruto, Death Note, the whole familiar roster of anime product found jammed into the shelves at Best Buy and making the rounds of NetFlix queues and Hulu playlists. As fine as some of this material is, everyone knows about it, and that’s the problem: it becomes too easy to pick that instead of digging a little deeper and being rewarded all the more for it. 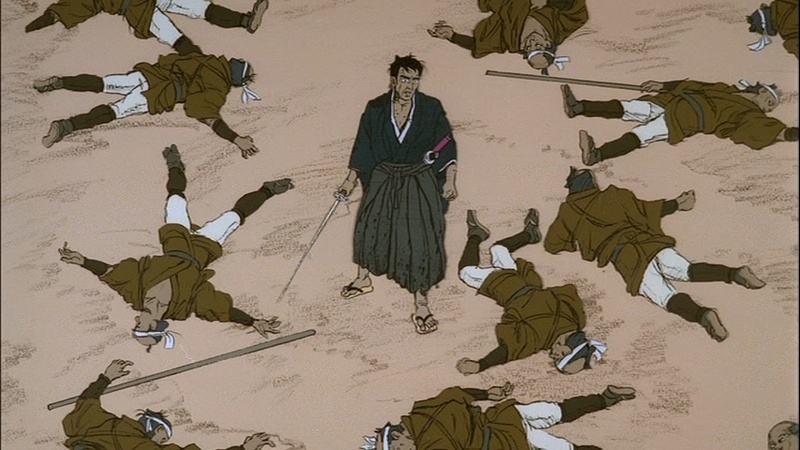 Even on the “commercial” side of things, there are too many genuinely great shows that end up going a-begging for a domestic audience: Emma, Moribito, Kaze no Yojimbo. Those might have appealed to Tezuka, but from what’s on display here I keep thinking he would have been enamored more of do-it-yourself mavericks like Naoyuki Tsuji or Maya Maxx (or Lee Sung Gang in Korea). One could create a fairly hefty box set for all the animated work Tezuka did, either singly or under the umbrella of Mushi Productions. A number of his animated feature-length films have appeared at festivals or the odd cable TV screening over the years. Many summers ago at Otakon I watched the hypnotic and spellbinding Belladonna of Sadness, which won over a hostile midnight audience despite not even having subtitles. And then there are all the third-party animated adaptations of his work, which even at their most pedestrian and indifferent had a hard time not containing some hint of his genius.